Aleene’s Original Glues - Are all of the ingredients used to make slime safe for children? Are all of the ingredients used to make slime safe for children? The ingredients used to make slime are commonly used household ingredients. Slime recipes using borax are considered less safe because borax is a cleaning agent and can cause irritation when handled/used outside of its determined use. Adult supervision should always occur when making any slime recipe. 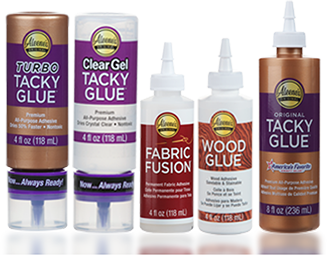 Aleene’s Original Tacky Glue and Clear Gel Tacky Glues – used in the slime recipes on this site – are nontoxic and safe to handle. Under no circumstances should slime be ingested and hands should always be washed before and after handling slime.